Four aspherical elements help to limit spherical aberrations and distortion for greater sharpness and accurate rendering. Focus Limiter switch lets you constrain the focusing to three different ranges to suit different applications: 14.8-52.5', 14.8'-infinity, or 52.5'-infinity. EF 600mm f/4L IS II USM Lens is rated 4.8 out of 5 by 48. Rated 5 out of 5 by Anonymous from Great Lens - Still Heavy Though I use the 600mm IS2 for photographing birds. It is extremely sharp. It performs even better than my last supertelephoto lens which was a Canon 500mm. It acquires focus super fast even with a 1.4X teleconverter on. I can hand hold it for short periods and have got some great distant shots of birds in flight. This lens is a monster in both size and weight compared to smaller zoom lenses. Although it is said to be lighter than previous models, at age 58 I am still finding it hard to travel with it on a tripod over my shoulder for long distances. However, I am stubborn and will not give up the great results I have come to know with it. Rated 5 out of 5 by Anonymous from Razor sharp This phenomenal lens is one major step to sharp, detailed pictures. Proper equipment and technique can all work together to produce razor sharp images. A super steady tripod and gimbal head (I use RRS gear), along with a cable release and mirror lock up help extract all this lens is capable of. Paired with a high pixel count camera, I am amazed at some of the pictures I am rewarded with. This lens is a vital link in the chain that can lead to phenomenal photos. I did a lot of soul searching before I spent this much money on a lens. I am glad I made the plunge, it will give me many hours of enjoyment in my photo hobby. Rated 5 out of 5 by Anonymous from Worth The Price of Admission I use this lens mainly for wildlife photography. My last Super-telephoto lens was the 500mm F/4 L series. In my opinion, the 600mm is even sharper and provides much better stabilization at slower shutter speeds. It is rugged and built to top quality. It is very much a perfect fit for birding and can render excellent results for in flight images as well. Even though it is much lighter than its predecessor, at age 58 I am still finding it heavy to tote over long distances attached to the tripod. I really cannot fault the lens for this as it could be just old age creeping in. I certainly don't regret the day that I purchased this fine product and I hope to have it for many years to come. Rated 5 out of 5 by Tim from This is it - there's nothing better If you want to turn your great wildlife and bird shots into unbelievably incredible shots, and you have the cash - you will love this lens. This Mark II version is small enough to fit in a regular backpack without the camera attached, such flipside 500, making it very portable. Reach can be extended with Canon's teleconverters, and can be stacked with an extension tube in between, to give reach with manual focus of close to 1700mm on a FF or close to 2400mm on a crop body. The only issue I have is weighing in at nearly 4kg makes hand holding for more than a few seconds quite a challenge. Rated 4 out of 5 by Christopher Schlaf from Nice lens but why so much $$$$$ I owned a few copies of the previous version and was quite happy with them but because of my addiction to wildlife photography I had to have this version. Ive been using it for over a year now and yes it is a great piece of equipment but why is it so expensive? Sure its lighter and does work better with extenders than the previous versions but for about 5K more. I would like to know if there is really a reason for this or is it they know that there is people like me that will pay for this. Rated 5 out of 5 by Rick from Fabulous Lens I have been using this lens for about 5 months, mostly with the 1.4 extender. I hesitated to buy it for obvious reasons--cost and weight. But i have no regrets The lens is sharp, fast to focus, and gives incredible detail and color rendition. I was pretty happy with my pictures before, but using this lens is a joy. I use it for birds and wildlife and could not be more pleased with the results I get. If you are on the fence and can afford it, jump! Rated 5 out of 5 by Taylorphototexas from Canon's best long lens So I decided long ago I'm not going to own every super telephoto for a number of reasons which are probably obvious to most people. Cost, weight, bulk, etc. I already had a 300mm f/2.8L and I have the "little" 400mm f/5.6L. So I decided I was only going to buy ONE lens larger than these. I looked at the 400, the 500, the 600, and the 800. I spent an entire year deciding. I wanted long reach, so having the 400 using with a 2x TC for 800/5.6 seemed a little crazy to me. For a little more money I could actually HAVE the 800, albeit with less versatility. In the end, I figured with the 600 f/4L I could use a 1.4x extender and i'm effectively at 840mm f/5.6. Also I come from an astronomy background where "it's all about the objective lens" and this one has the largest of all the super telephotos. So I get more reach than the 800 at f/5.6, very sharp with the 1.4x by the way and no noticeable focusing impact in decent light. Also I can use it without for 600mm, and I can use the 1.4x with the 300 to get 420mm f/4. Truthfully when I'm shooting soccer the 300 is long enough without the extender, and for wildlife the 600 is never too big. I bring along the 300 and 2nd body, or sometimes I'll shoot with 70-200 f/2.8. The reason I'm talking about all of these other lenses is that none of them are super telephoto. So in fact what I'm saying is for me the 600 is the one to buy. Maximum bang for the buck in terms of reach and autofocus / stabilization goodness. This is the holy grail of canon lenses, my friends. Don't let the 800 intimidate you; this objective is larger and with the 1.4x it outperforms the 800 in my humblest of opinions. I've also used this lens on manual focus with the 2x extender III for moon images and it does a ridiculously incredible job. 1200mm f/8 rivals some pretty serious refracting telescopes out there. Oh yeah, and it looks huge and intimidating but it's not all that heavy. In fact it's just a few pounds more than the 300. I'm totally happy with this beast! Does this lens better quality than the 400mm f2.8 + 1.4 III?Is autofocus also faster than the 400mm +1,4 III? You will always have better quality and sharpness by going with the lens that doesn't require a teleconverter. The answer would depend on the model camera on which you would be using the setup. Teleconverters, by design, both multiply the lens' focal length by the listed teleconverter number while also reducing light entering the camera. A 1.4x teleconverter will remove 1 stop of light from the lens, while the 2x teleconverter will remove 2 stops of light from the lens. 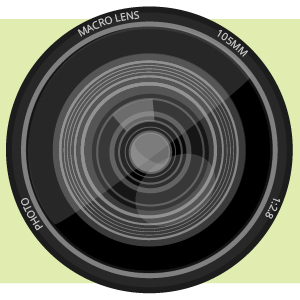 Most all Canon DSLR cameras will maintain autofocus with a lens/teleconverter setup that has an equivalent aperture of f/5.6 or greater, while only a few select Canon DSLR cameras will maintain autofocus with a lens/teleconverter combination that has an equivalent aperture of f/8 or greater. 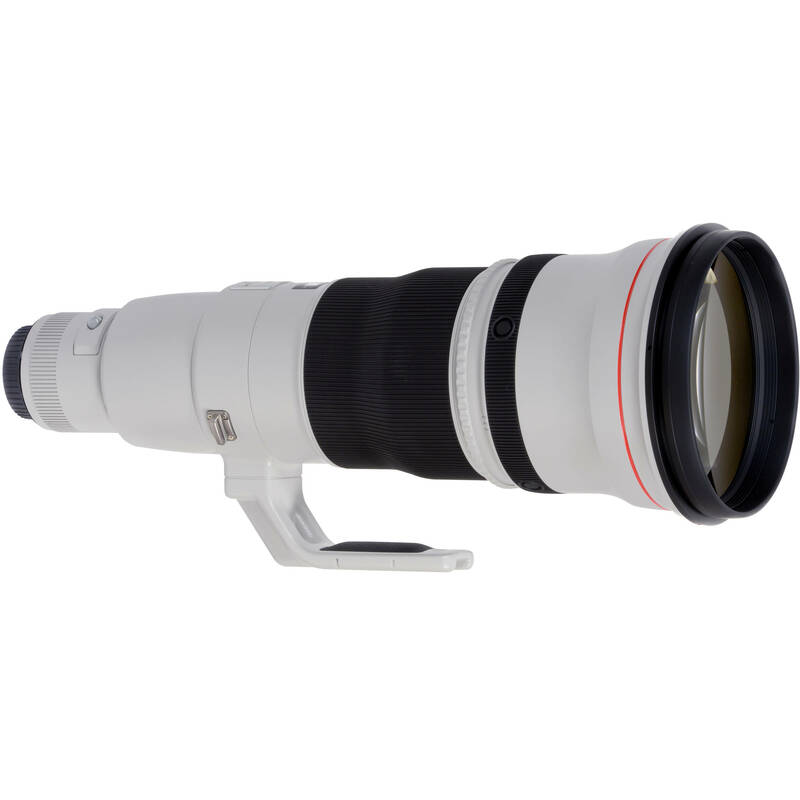 When using the 1.4x teleconverter, the Canon EF 600mm f/4L IS II USM Lens would become the equivalent of an 840mm f/5.6 lens, and when using the 2x teleconverter, the lens would become the equivalent of a 1200mm f/8 lens. The 1.4x teleconverter should maintain autofocus on most all Canon cameras, but only a select few cameras will maintain autofocus with the 2x teleconverter. As you did not specify your camera model, I would recommend e-mailing your inquiry with the brand/model camera you own to askbh@bhphoto.com for assistance with your inquiry. Will the Canon PL-C 52WII 52mm Drop-in Circular Polarizing Filter fit a Canon EF 600mm f/4 IS II USM lens? Your information only lists it fitting 300mm and 400mm lenses. will this lens fit on the Canon 5D Mark II? Is this compatible with the %D Mark 11? Can I put a UV filter on the front of the lens for protection? My understanding is that the front glass is a protective, coated glass so the answer is no. It is not threaded for a filter either.On a side note, this lens is the best investment I have ever made! What filter would I use with this lens to photograph a solar eclipse?